Weddings require meticulous planning and preparation, and can undoubtedly be a stressful and worrisome time. It stands to reason, after all it is a very important day – likely to be the most important major celebration of your adult life – and you want it to be as perfect as it can be. So prepare yourself for some level of anxiety. However, you need not worry unnecessarily when you have advice from industry experts such as us, at hand! We have been providing exquisite and ingenuous Indian wedding decorations UK wide for many years, so have the experience and knowledge to help you through some of the mind boggling aspects of venue decoration. So this week we’re talking you through our absolute ultimate checklist of the top three considerations to cover when choosing the venue décor for your wedding reception. Look at the venue as a whole – if you’ve already booked your venue then you must already love what it has to offer. So when it comes to the interior wedding décor it’s important to think of the seamless and natural fit that the décor has with the building. If you have a period or classical building there will be subtle difference in colours and styles to a modern venue. Think about how it will complement your choice of décor and vice versa. Look at the foyer, the gardens, the cocktail area as well as the main part of the venue and see what you can do to incorporate these in to the wedding décor too. 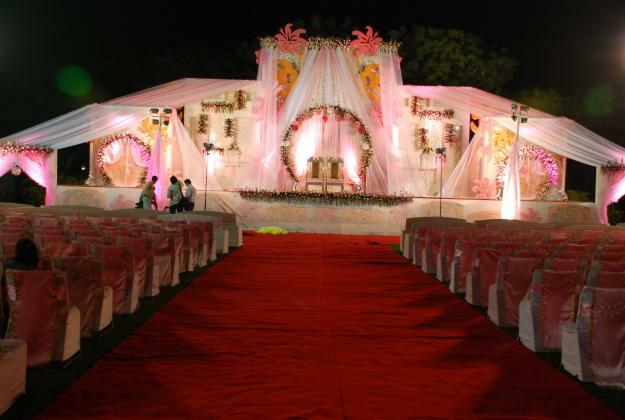 Also consider the levels of natural and artificial lighting available and how it will affect the main wedding areas. Focal points – This is key; it is crucial to know the main focal points of the wedding. Of course this will naturally be the bride and groom themselves, but it is good to understand where all eyes will be during the ceremony and after. Our expertise in creating wedding stages in London means that we have been able to transform the smallest to the most elaborate of stage sizes in to a feast for the eyes, because we know all eyes will be on this. 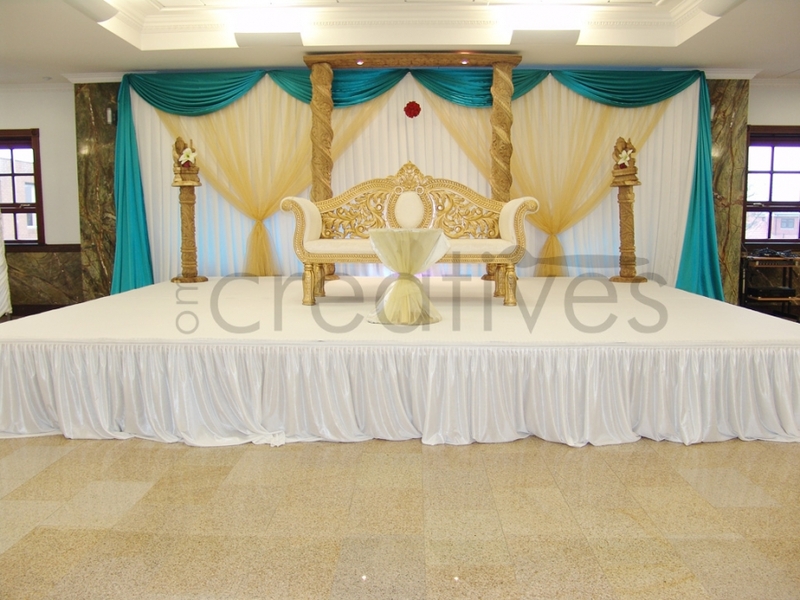 If you have an entertainment or speech-making area or a mandap, then these too need to be considered as focal points. Our wedding mandap decorations have been known to create a wow moment at any wedding, and so they should. Look at the day as a whole – although thematic ideas and imprinting your own personality on the day is important, there are some real practicalities you may need to consider when choosing venue décor. Does the colour scheme complement the bridal outfits? How many guests are there, where will they be seated and can they view the key focal points? What photography or videography will you have and will they need access points and lighting? Are main areas accessible for guests or family who need to perform any customs? Lastly, your budget, what can you practically and sensible achieve within your budget, after all décor is one of many elements you need to consider. When you have these covered, you can be sure that you’re making a well informed and thorough decision for your venue décor.